This Tranquil Fountain tapestry shows a scene of a garden fountain. The trees close by are colored in deep red as well as greens, and the water is making splashes on the fountain top above and the pool below. The color scheme is warm and cohesive with autumn colors predominating. 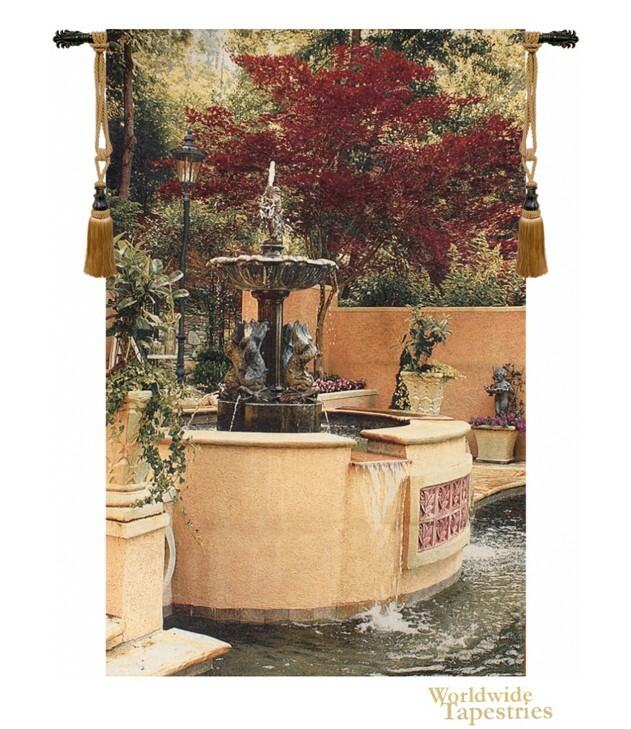 This Tranquil Fountain tapestry is backed with lining and tunnel for easy hanging. Note: tapestry rod and tassels, where pictured, are purchased separately. Dimensions: W 45" x H 70"